What can the desert teach us from a yogic perspective? Discover the spiritual power of the desert in Greater Palm Springs when you join us for Wellspring this October. Plan your trip and enjoy all the desert has to offer. The first time I saw the desert as a young high-schooler from the Midwest—the land of retired steel plants and majestic brick factories on river throughways—I was floored. The world had never felt so big; the sky had never seemed so expansive. It’s not as if I hadn’t been awed by a sunset before—I’d certainly had a handful of formative moments at the edge of cornfields watching the sun set the low sky ablaze—but the desert was something else entirely. It was as if my soul was literally turned on for the first time. I was hooked. Since then, there have been many subsequent times in my life, frozen in that “movie-reel-memory” kind of way, where the desert has played a leading part. There was that time riding a camel through the Rajasthani desert in India, when the stars seemed to drip blessings onto my partner and me; there were dozens of sultry moments I met myself for the first time again and again in Burning Man’s Black Rock City; there was the inspirational road trip through the Oaxacan mezcal fields that led to a previous career as a travel writer. But let’s be real: Couldn’t that have just been random time and place? Is there such thing as the spiritual power of the desert? Turns out that I’m certainly not alone in the supporting role that the desert has played throughout history. In the Judeo-Christian tradition, some theologians assert that the 40 days and nights spent crossing the desert was to signify the harsh conditions—punctuated by life-giving oasis—that would lead the Jewish people to their true land, and to their true relationship with God and understanding of themselves. The influence of the desert can also be seen in the Islamic tradition—both theologically (sense of the supernatural, virtues of hospitality and alms-giving, an interpretation of divine sternness), and secularly (the social solidarity necessitated by traditions of the nomadic Bedouin people). In the yoga community, we often refer to a time in our lives in which we feel siphoned from the divine as moments of living in a spiritual desert. These are moments in which we feel disconnected, unmotivated, or stuck in a rut. This can manifest in practical ways, such as an inability to leave a job or a relationship; or emotional ways, such as a tendency to repeat the same mistakes or unhealthy behaviors, despite hard-learned lessons. In the same way that the desert taught the Bedouins traditions of radical self-reliance and the Jewish people the transcendence of suffering for liberation, so too must we walk through the metaphoric burning sand of arid land to come to our own personal peace. 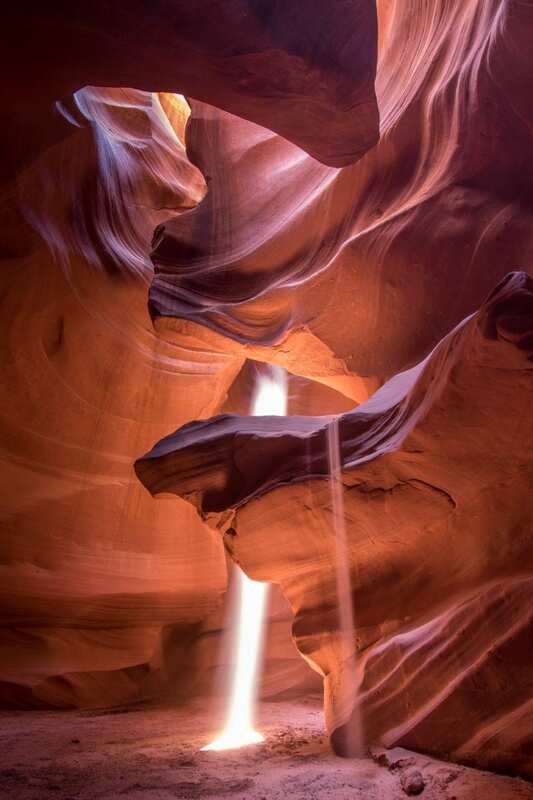 Here are four lessons the desert gives us when it comes to spiritual awakening and power. What we learn from it: Even the most arid of land can bring forth something beautiful. Periods of the most torrential rain yield the most vivid blossoms. What they are: So ubiquitous in popular culture that the name of the actual phenomena has now come to colloquially mean anything that seems too good to be true, mirages are an optical illusion caused by atmospheric conditions. It’s most commonly seen as water in an otherwise extremely arid and dry place. Named for the Latin word “mirari,” meaning “to look at, to wonder,” mirages are stereotypically depicted to show an object of our deepest desires; what our imaginations conjure when left to their own devices. What we learn from it: That which we think we want—what we think we’re going toward—could be an illusion. The answers are not in front of you, but within. What they are: Singing dunes are the desert phenomena of wind passing over sand dunes causing a singing sound sensation. It may sometimes sound like a deep groaning hum produced by tiny grains of sand rolling down the dune. The acoustics of the desert make it so that the sound often carries for miles. Legend has it that Marco Polo attributed these eerie noises to evil spirits. What we learn from them: Sometimes feelings of fear can simply be attributed to that which we do not understand, or haven’t yet discovered. What they are: More than simple watering holes boasting palm trees and lush vegetation, oases are made possible by a usually-underground source of freshwater that bubbles up in an otherwise arid climate. Oases fun facts: 1) 75 percent of the Sahara’s human population lives in oases; 2) In the 19th century, Las Vegas was the site of a massive oasis in the Mojave Desert. Development drained underground aquifers, which is why Las Vegas is now as arid as surrounding locations. What we learn from them: Life can come forth, even in the toughest conditions. The necessary spring may just be underground, unable to be seen. 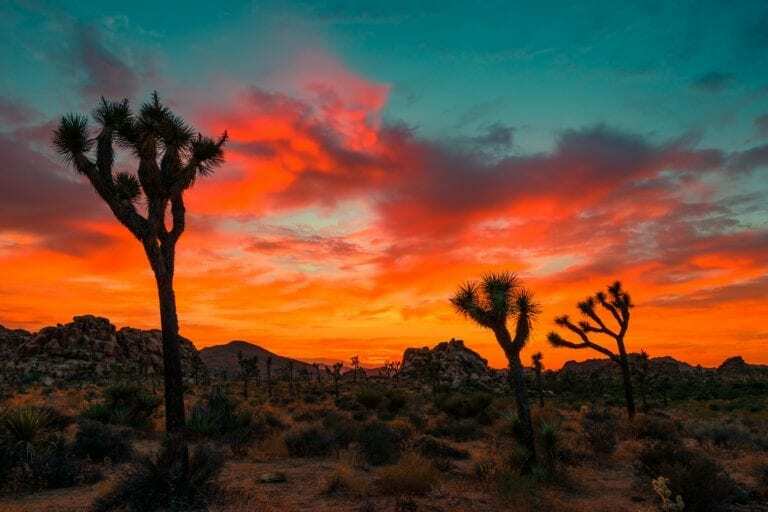 Just as my personal stories of the desert have been formative on my own spiritual journey, these natural phenomena can be seen as examples of how the desert can be interpreted as a spiritual teacher in and of itself. Have you found spiritual growth or healing in the desert? Share your stories in the comments below. Famed for its beautiful weather and relaxed lifestyle, Greater Palm Springs features nine distinct resort cities: Palm Springs, Desert Hot Springs, Cathedral City, Rancho Mirage, Palm Desert, Indian Wells, La Quinta, Indio and Coachella. This picturesque health and wellness oasis boasts everything you need for relaxation and rejuvenation, including world-class spas, healing mineral waters, outdoor adventure and holistic wellness experiences. Find your oasis at https://www.visitgreaterpalmsprings.com/.